Compared to hand grinding while kneeling where is difficult to transfer all the available power to the floor it can often double the grinding speed. The unique Situp Grinder attachment enables an operator to use all of the power from an angle grinder because of the weights and the ergonomic operating position. All the pressure is downwards to the floor so that the concrete grinding speed is always at a maximum with the operator directly above the concrete floor grinder to guide it. 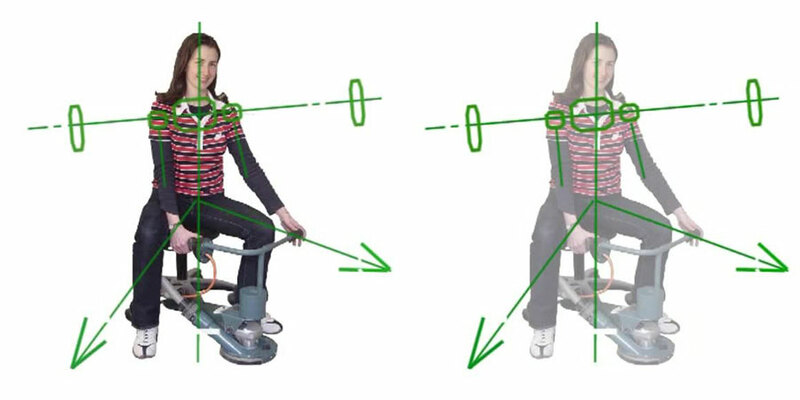 When kneeling, the downwards pressure is not consistent because it is on and off as the operator crab walks along and moves the grinder in circles away and back again. A five castor stool or chair is important to use with a Situp Grinder. It is an essential component to provide speed of movement and excellent control of the concrete floor grinder with the highly mobile wheels, the ease of pushing with the feet and all the weight of the body on the wheels instead of on the knees. This allows the operator to sit up straight and grind close to the body. The Situp Grinder handles are designed to fit between your knees where you have the maximum leverage and control with very low physical effort. With a hand on each handle the grinder is switched on by squeezing the trigger-switch and then it is floated across the floor in circles. The stool can be moved instantly in any direction with the legs so the concrete floor grinder can be floated anywhere with almost no effort. The weights keep the diamond cupwheel biting in and the operator moves it as slowly or as quickly as the job demands. That is 100% grinding efficiency that you can only get from a Situp Grinder configuration. 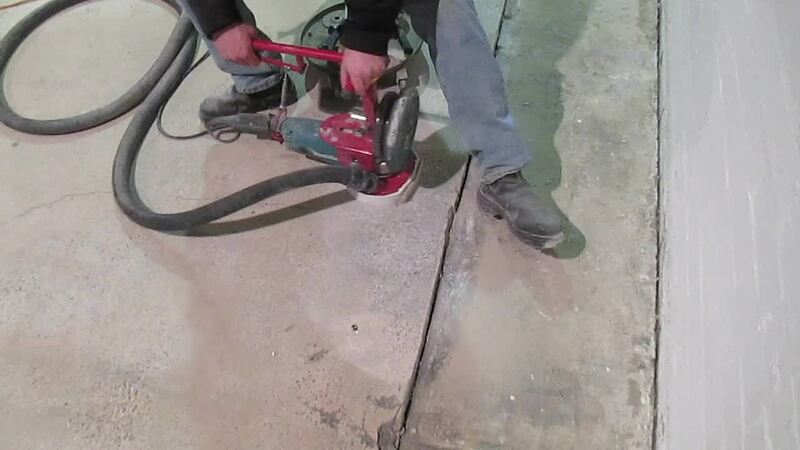 The Situp Grinder tool has capacity for 12.5 kgs of weight which is a pleasure to use on hard concrete. Obviously the softer the concrete the less the weight. The proper way to use it is to keep adding weights until the depth of cut is too deep to float it easily in circles. Then remove one weight so you will be working at maximum efficiency. The weights will put a noticeable load on the angle grinder when it is cutting into the floor, but it will not harm the motor which is very robust except when you slow it down too much and at that stage it will be difficult to float across the floor. Warning: If you slow down a grinder too much for a minute or two and suddenly stop it, you may burn it out, but you can avoid that. Go to Avoid Grinder Burnout to find out how to prevent burnout from happening.